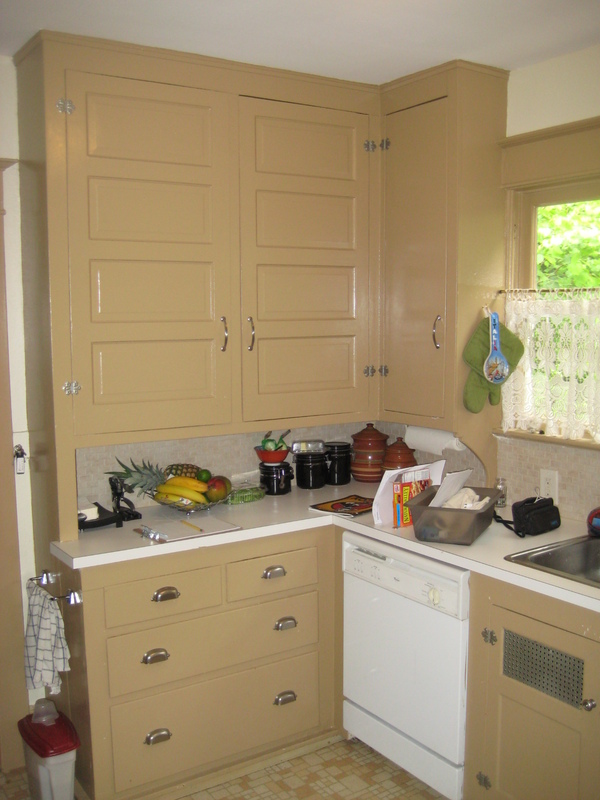 We couldn’t be more excited to show of the final results of our Portland Monthly Kitchen Makeover. Before we go farther… Let’s take a look back at where we began. These new upper cabinets and open corner shelving were provided by Versatile Wood Products and installed by the Arciform team. Isn’t it amazing what a fresh coat of paint can do to highlight the gorgeous original millwork details and transform the look of a space? 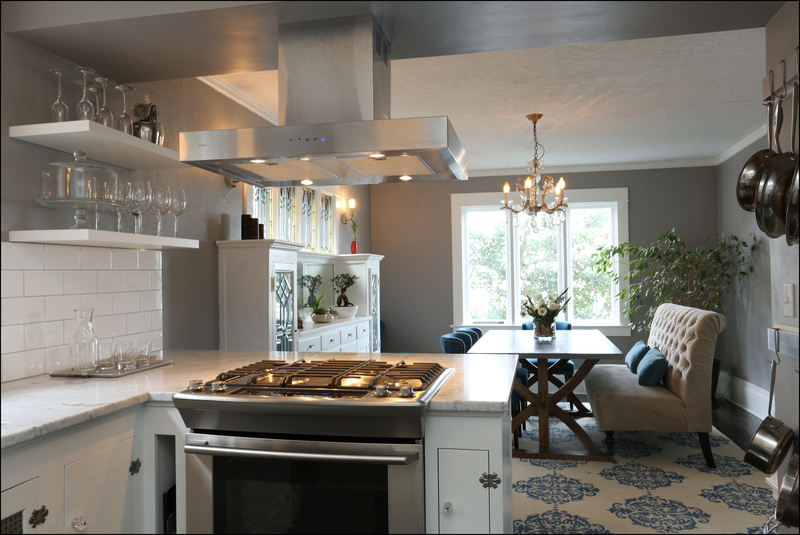 The new range and range hood are both from Standard TV and Appliance and the peninsula cabinetry and open shelving is by Versatile Wood Products. 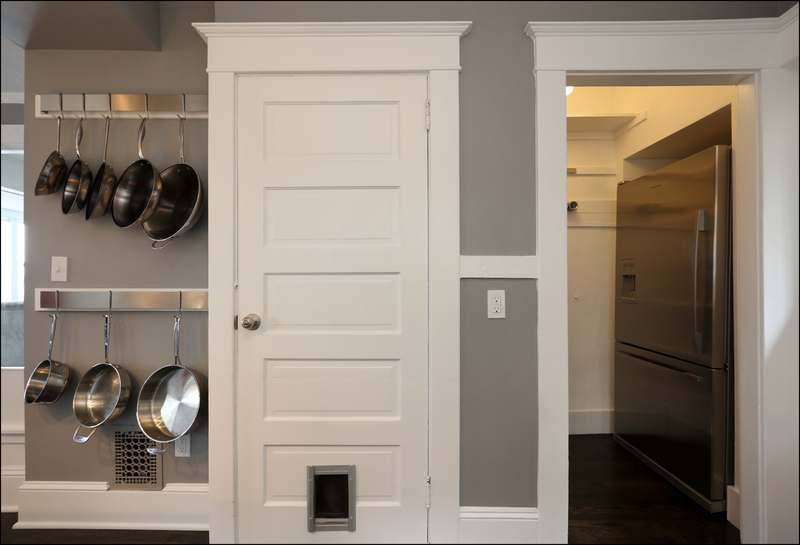 The larger than average beam across the opening conceals needed venting for the range hood provided by Advanced Heating and Cooling. The clients saved costs by doing some of the demolition of the existing chimney and the wall themselves. 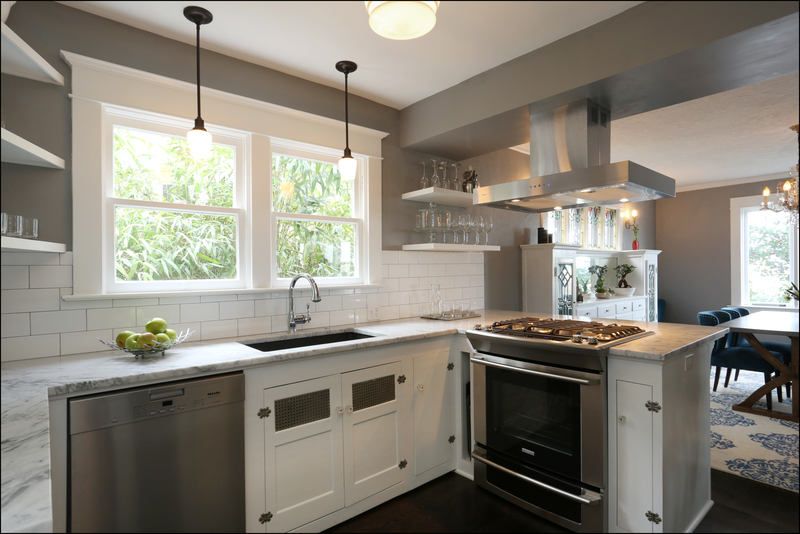 That beautiful Carrara marble countertop is thanks to Oregon Tile and Marble, with expert installation by Wall to Wall Stone Corp. Thanks to George Morlan Plumbing for the undermount sink and new sink fixture and Power Plumbing for the additional plumbing parts. 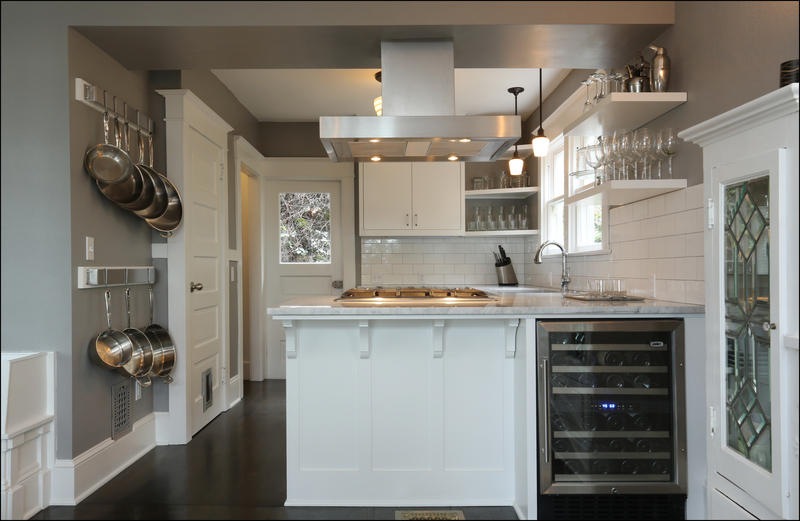 Oregon Tile and Marble provided the beautiful subway tile backsplash. The new hardwood flooring was contributed by Emerson Hardwoods and installed by the excellent CZ Becker. 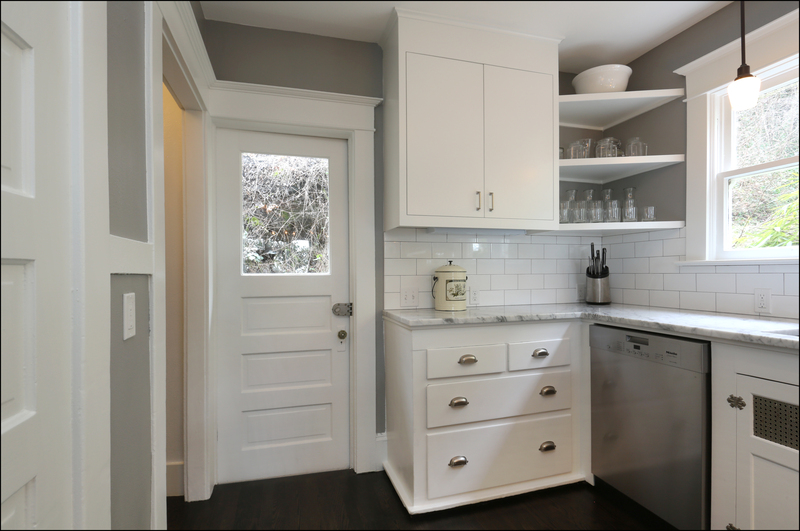 Arciform was delighted to be able to save the existing lower cabinets with their charming original hardware and mesh detail. 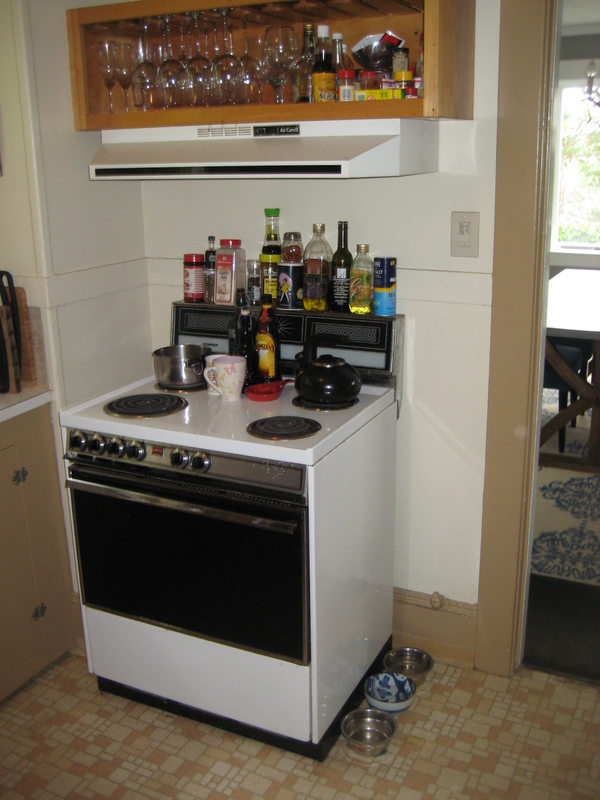 The simple stainless of the pot racks picks up the stainless steel of their new fridge. 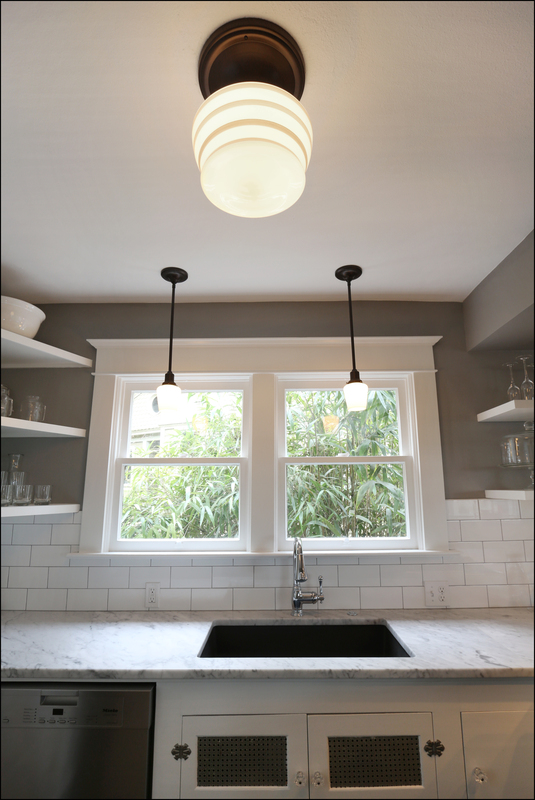 The timeless lighting fixtures from Schoolhouse Electric add grace without distracting from the clean lines of the kitchen. We’re grateful to Master Tech Electric for coming in during the estimating process with an additional donation to support the cost of getting these beautiful new fixtures installed. 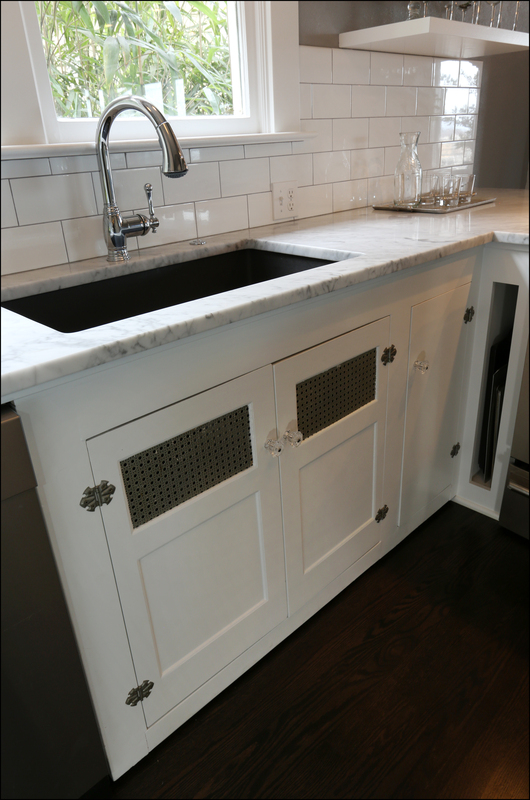 The breakfast bar incorporated the new wine fridge, a key client priority, and the corbels beneath the marble bar subtly reference the beautiful existing built in dining room cabinetry. 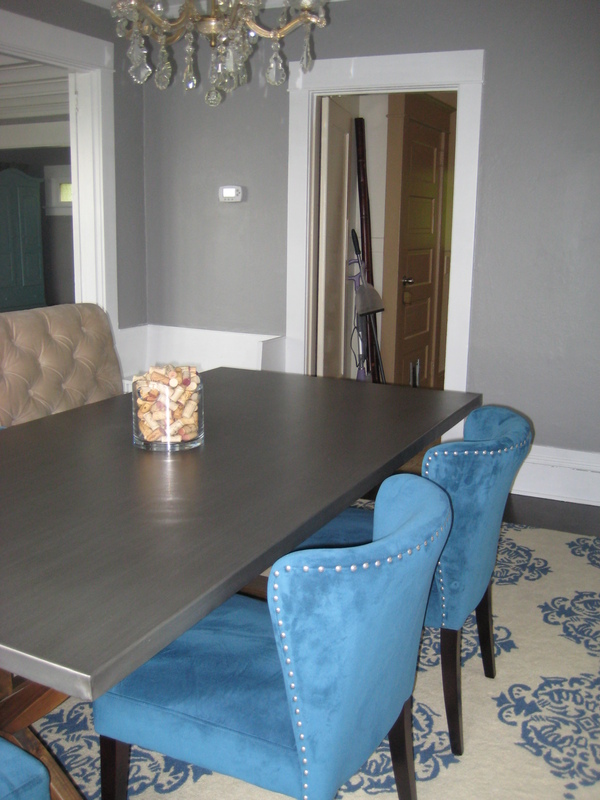 Emerson Hardwoods and CZ Becker did an amazing job of exactly matching the color of the existing dining room floor, extending it into the kitchen to make the whole space feel continuous. 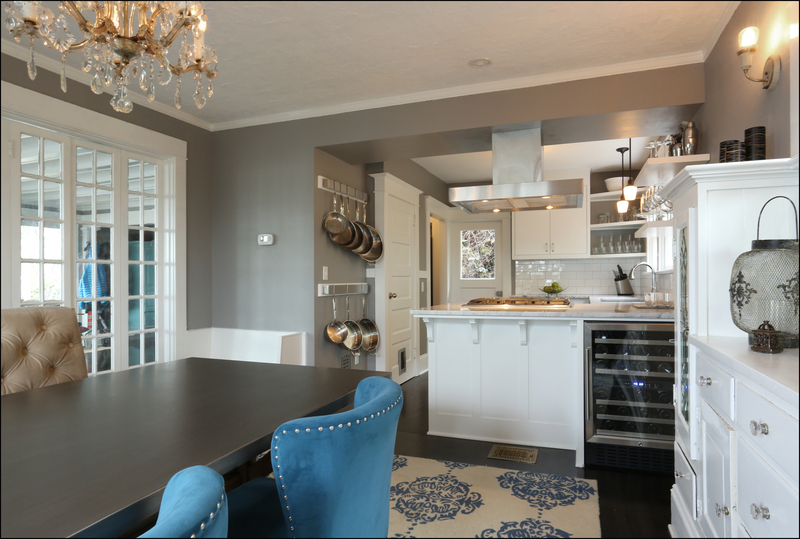 We are so honored to help this young couple create a timeless and beautiful space to cook and entertain for years to come. 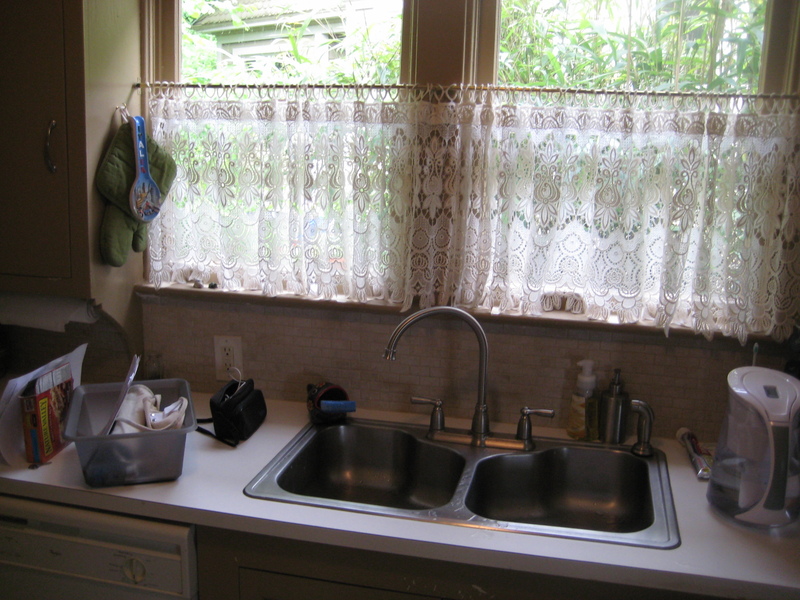 Ready to start your own small kitchen makeover? Email spencer@arciform.com to schedule your own Initial Design Consultation.